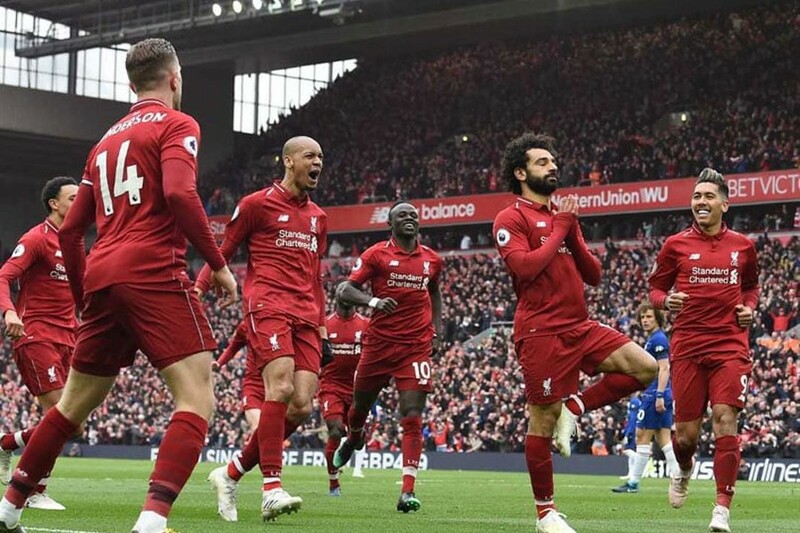 LIVERPOOL, England, Apr 15 (Reuters): A spectacular strike from Mohamed Salah helped Liverpool maintain their two point lead over Manchester City in the Premier League title race with a crucial 2-0 win over Chelsea at Anfield on Sunday. But with Pep Guardiola's side having to face Tottenham and Manchester United in the next 10 days and Liverpool having no more matches against top six teams, Juergen Klopp's side have a glorious chance to end their club's 29-year wait for a domestic league title. Although the brilliant Eden Hazard hit the post for the visitors, there was a real determination about the way Liverpool approached the second half - closing down across the field and yet still pushing forward in search of a third to totally kill the game. That did not come but with only lowly Cardiff City, relegated Huddersfield Town, Newcastle United and Wolves remaining as hurdles, this was the biggest obstacle in Liverpool's run in, cleared with some margin to spare. Hazard, playing in a central role, had been a constant threat in the opening half while Liverpool's cutting edge was not quite there. Mane went close with a curling effort and a Firmino toe poke forced Chelsea keeper Kepa Arrizabalaga into action.